We’d love your help. Let us know what’s wrong with this preview of Ethical Empowerment by Arthur D. Schwartz. Ethics has long been burdened with a certain perplexity: Is self-interest or altruism the primary ethical imperative? Ethical Empowerment: Virtue Beyond the Paradigms presents an ethical theory designed to encourage ethical thinking from multiple perspectives that go beyond ideology and dogma. By so doing it develops an understanding of ethics and morality that transcends Ethics has long been burdened with a certain perplexity: Is self-interest or altruism the primary ethical imperative? Ethical Empowerment: Virtue Beyond the Paradigms presents an ethical theory designed to encourage ethical thinking from multiple perspectives that go beyond ideology and dogma. By so doing it develops an understanding of ethics and morality that transcends rigid or inapplicable rules by returning to the principle of universal love. The result is an ethical framework for unconventional ideas and research that challenges traditional beliefs that are vested in ideological, financial and political interests that--through various mechanisms, seek to maintain the status quo. To ask other readers questions about Ethical Empowerment , please sign up. Ethical Empowerment is an encyclopedic, mind-blowing compendium of almost every form of philosophical thought ever proposed by intellectuals. It gives a multitude of examples throughout history (e.g. how the slave trade was once justified and how even some leading philosophers rationalized its existence) to reveal how humanity generally evolves ethically and morally over time. It is also in some ways a history of the world – a summary of religions and belief systems, of economic models, as well Ethical Empowerment is an encyclopedic, mind-blowing compendium of almost every form of philosophical thought ever proposed by intellectuals. It gives a multitude of examples throughout history (e.g. how the slave trade was once justified and how even some leading philosophers rationalized its existence) to reveal how humanity generally evolves ethically and morally over time. It is also in some ways a history of the world – a summary of religions and belief systems, of economic models, as well as an overview of current events and the underlying ethical structures creating these events. -- it is actually a proposed rethink for society that could create many positive changes if adhered to by world governments. At the very least, the many revolutionary ideas contained in this book should be debated in earnest to see if a fairer world can be created. Author Arthur D. Schwartz spent over a decade writing and researching this book and as a philosopher and counsellor Ethical Empowerment is essentially his life’s work. What is extremely rare for an academic or intellectual is that Arthur has incorporated love into his ethics analysis. Yes, you read that right: Love. Arthur proposes a world based on a love-based ethics and implies that love in all its forms from self-love to love for our fellow humans worldwide is not just an emotion but a form of high intelligence. I also enjoyed the astute observations about politics including criticisms of both the extreme Left (e.g. radical socialists) and the Far Right (including libertarians). Loved the line of thought about world hunger and extreme poverty being completely inexcusable and avoidable. Long live philosophical thinking that has no allegiance to anything but the ultimate truth! I have to admit, my most comprehensive understanding of any kind of philosophy comes from Sophie’s World, and it occurs to me that someone with a deeper understanding of the subject would be better placed to review or debate the concepts that Arthur has put forward in ‘Ethical Empowerment: Virtue Beyond the Paradigms’. My review, therefore, is from the perspective of a layperson. The book examines existing concepts of ethics and ethical standards, how they were arrived at and how they affect our I have to admit, my most comprehensive understanding of any kind of philosophy comes from Sophie’s World, and it occurs to me that someone with a deeper understanding of the subject would be better placed to review or debate the concepts that Arthur has put forward in ‘Ethical Empowerment: Virtue Beyond the Paradigms’. My review, therefore, is from the perspective of a layperson. The book examines existing concepts of ethics and ethical standards, how they were arrived at and how they affect our existence as individuals, as a society and as countries in a global village. Accordingly, it has been divided into two parts. The first is an in-depth analysis of the author’s theories and the second part is entirely his vision of how ethical standards that were based on morality would and could affect every aspect of our world. It’s a logical structure, but I found the first part to be densely academic, written in language that I had to go back and read several times in order to understand. Sentences like “Aristotle does not argue for a Platonic World of Forms but, rather, a God principle that is the immaterial pure actuality he also describes as pure thought or ‘thought thinking itself’” were difficult to grasp. It was almost as if the author expected his readers to have studied philosophical texts before. The first few chapters, especially, are discussions of existing philosophies, which I had to research online before his meaning became clear. Part 2, however, is much easier reading. Schwartz takes several broad, and some specific, aspects of society and examines how his principles would change existing paradigms. I found myself weighing the consequences of a world without income tax; a society that actually practiced direct representational democracy instead of the party-based republic that currently exists in most countries; or the impact of individuals that reject absolutism in every form. Idealistic, yes and the author admits as much himself. But he does provide persuasive arguments that make this an interesting read. What if we weren’t so quick to dismiss every conspiracy theory that sprung up, but gave it the valued appraisal that any scientific theory receives? What if we were to eliminate the concept of privately-owned property? As someone who lives in a city where the biggest source of dissent is systemic and illegal land grabbing, this was particularly interesting to me. Sadly, though, I don’t think Arthur’s solution of ‘love thy neighbor’ would be taken seriously by Karachi’s land mafia! Nevertheless, I wouldn’t dismiss this book as idealistic ramblings that can never be implemented. First, because his ideas are not as far-fetched as I may have implied; advanced societies such as Scandinavia are probably already well on their way to internalizing many of his ideas. Social decentralization already exists in online communities such as open-source development and the recent self-publishing boom. On an individual level, most people deal with each other from a premise of love and morality, particularly online. Changing larger social structures to accommodate this concept should be the next, natural step. More importantly, this book should be read because it makes you question existing systems and dogma. At the end of each chapter, I found myself taking notes on things that I wanted to ask the author, but which I can’t realistically put into this review. The two main ideas that shone through to me at the end of this book were Love and Balance. But I had to work to discover them. I believe that the book would benefit from a layout designer to highlight examples and core principles from each chapter. Schwartz does provide examples to illustrate his ideas, but they are buried in the text. A glossary of terms, particularly for amateurs like myself, would be immensely helpful. I think there is a logical sequel to this book that needs to be written: an experiment that implements ethical standards based on morality, and the results of the study. I have no idea how Arthur Schwartz would conduct such an experiment, but I would read that book. Ethical Empowerment by Arthur D Schwartz explores the world of philosophy and how it could be applied today. It is a book suited and empowering to those who enjoy philosophy or enjoy books suited to those of a higher IQ. The first two sections of the book are devoted to analyses and interpretation of philosophy and its conundrums. Here Schwartz has been very meticulous and has offered a variety of interpretations given by some of the great theorists. For those less acquainted with philosophy, the Ethical Empowerment by Arthur D Schwartz explores the world of philosophy and how it could be applied today. It is a book suited and empowering to those who enjoy philosophy or enjoy books suited to those of a higher IQ. The first two sections of the book are devoted to analyses and interpretation of philosophy and its conundrums. Here Schwartz has been very meticulous and has offered a variety of interpretations given by some of the great theorists. For those less acquainted with philosophy, the third section is an easier read as Schwartz applies a more relaxed style of writing in discussing the erroneous nature of today’s social, political, fiscal, scientific and economic structures. In true philosophy style he encourages the reader to think outside the square by offering alternative models. Living in an egalitarian country (New Zealand) I concur with the ideals of free health and education, an adequate safety net to cover the needs of those at the bottom of the heap and a fairer distribution of wealth. A health system where one has to pay is oxymoronic, especially if one arrives in a hospital’s accident and emergency room only to be turned away because one hasn’t got their wallet on them. Utilitarianism however has limitations. There needs to be discrimination and inequity to serve as an incentive for and reflection of ones contribution to society. Partly for this reason I would side with the libertarian approach to individual ownership of land, but for greater equality favouring a progressive tax system. The fourth section ‘Power and Humility, expands on the author’s model for a better world and religious harmony and takes us back to biblical times and Abraham and Isaac. Schwartz is puzzled by the concept that a loving God could order the sacrifice of Isaac. This conflicts with his elementary principles of morality. Later he states that we should not have faith in theology. However theology—a discipline that has involved centuries of research and analysis of historical documents, provides the answer to this conundrum. In summing up, Schwartz has accurately identifies many of today’s problems and offers plausible solutions. The book sets out to question existing systems and dogma and is a book I can well recommend. The ideal world though, is perhaps just a dream while our world includes psychopaths, narcissists and self-centred individuals who care little about ensuring that there is sufficient in this world to keep everyone fed and happy. Ethical Empowerment by Arthur D Schwartz explores the world of philosophy and how it could be applied today. The first two sections of the book are devoted to analyses and interpretation of philosophy and its conundrums. Here Schwartz has been very meticulous and has offered a variety of interpretations given by some of the great theorists. For those less acquainted with philosophy, the third section is an easier read as Schwartz applies a more relaxed style of writing in discussing the erroneous Ethical Empowerment by Arthur D Schwartz explores the world of philosophy and how it could be applied today. The first two sections of the book are devoted to analyses and interpretation of philosophy and its conundrums. Here Schwartz has been very meticulous and has offered a variety of interpretations given by some of the great theorists. For those less acquainted with philosophy, the third section is an easier read as Schwartz applies a more relaxed style of writing in discussing the erroneous nature of today’s social, political, fiscal, scientific and economic structures. In true philosophy style he encourages the reader to think outside the square by offering alternative models. Living in an egalitarian country (New Zealand) I concur with the ideals of free health and education, an adequate safety net to cover the needs of those at the bottom of the heap and a fairer distribution of wealth. A health system where one has to pay is oxymoronic, especially if one arrives in a hospital’s accident and emergency room only to be turned away because one hasn’t got their wallet on them. Utilitarianism has limitations. There needs to be discrimination and inequity to serve as an incentive for and reflection of ones contribution to society. Partly for this reason I would side with the libertarian approach to individual ownership of land, but for greater equality favour a progressive tax system. I strongly differ with Schwartz here because he proposes a radical overall of the tax system—a rejection of all taxes—that is replaced with public ownership of land and real estate. The fourth section ‘Power and Humility, expands on the author’s model for a better world and religious harmony. It takes us back to biblical times and Abraham and Isaac. Schwartz is puzzled by the concept that a loving God could order the sacrifice of Isaac, and he later states that we should not have faith in theology. In my view, in order to understand God requires faith in theology—a discipline that over the centuries has involved in-depth research and analysis. The Abraham-Isaac situation is just one of those parallels found to run between the old and new testaments and from a Christian perspective this conundrum is answered in John 3:16, but the author's conception of ethical empowerment takes him in a different direction. In summing up, this is an excellently written and interesting book on philosophy. Schwartz accurately identifies many of today’s problems and offers plausible solutions. The book sets out to question existing systems and dogma and is a book I can well recommend. In a world that includes psychopaths, narcissists and self-centred individuals who care little about ensuring that food and other basic needs are met for everyone, Utopian visions need to be balanced with practical and realistic solutions. The practicality of some of Schwartz's proposals remain an open question, but the fact that he raises difficult questions and explores unorthodox solutions makes this book well worth reading. Arthur D. Schwartz is a lifelong student of philosophy and director of Integral Hypnosis, a hypnotherapy and philosophical counseling practice located in Newton, MA USA. He is also host of the Philosophic Perspectives radio show on the ArtistFirst Radio Network. 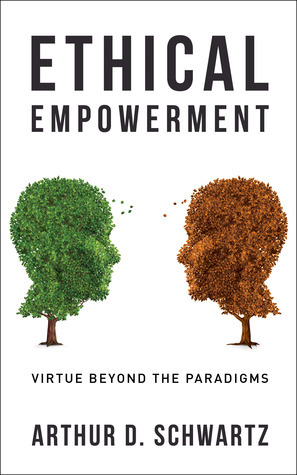 Six years of research and seven years of writing produced the book, Ethical Empowerment: Virtue Beyond the Paradigms. The book develops an Arthur D. Schwartz is a lifelong student of philosophy and director of Integral Hypnosis, a hypnotherapy and philosophical counseling practice located in Newton, MA USA. 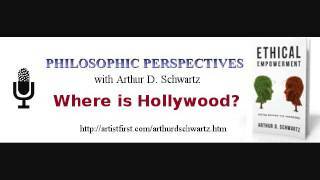 He is also host of the Philosophic Perspectives radio show on the ArtistFirst Radio Network.